Centrally located in the heart of Mid-Beach, Eden Roc Miami Beach epitomizes the Beach Cosmopolitan lifestyle, offering guests an exhilarating atmosphere, international perspective, and a fresh take on luxury. Designed by famed architect Morris Lapidus, today this iconic fixture has been reenergized through a complete overhaul with major renovations, refreshed interiors, and exciting partnerships. 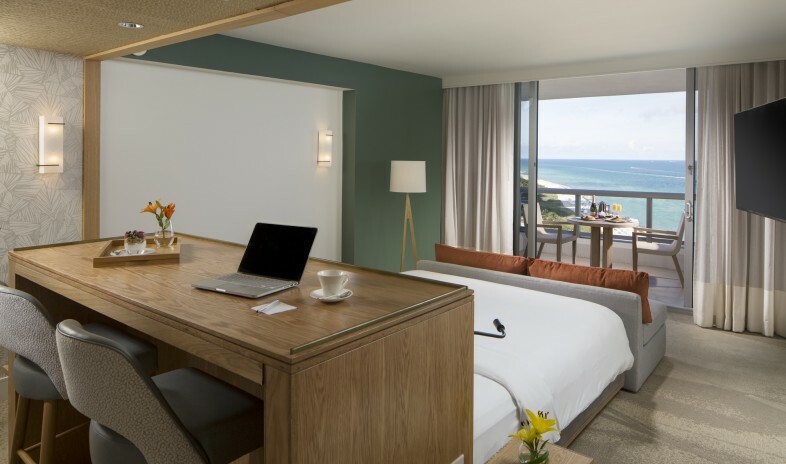 The hotel boasts 621 spacious, oceanfront guest rooms including 206 Nobu Hotel rooms, three refreshing pools, 22,000 square feet of spa and fitness facilities, and 70,000 square feet of meeting and event space. Featuring world-renowned restaurant offerings, the hotel proudly offers the famed Nobu Restaurant & Bar and the acclaimed farm-to-table restaurant Malibu Farm.